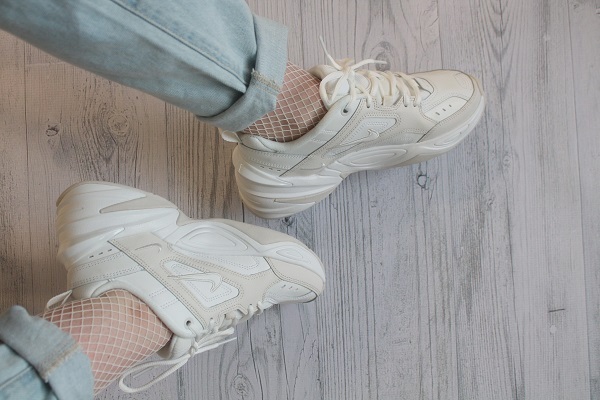 In case you missed it, chunky dad shoes are back! The 90’s trend has been back for a while now, and it doesn’t look like it’s going anywhere. 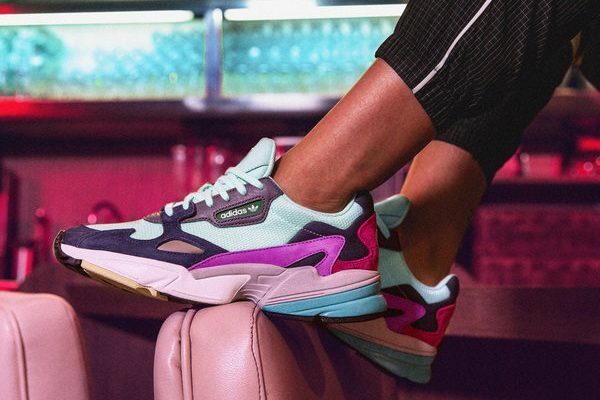 It started with the revival of retro apparel from brands like Kappa and Champion, and now the trend is spreading from our wardrobes to our sneaker rotations with the popularity of chunky dad shoes. While they look enormous, chunky dad shoes are actually super comfortable and make the perfect statement sneaker. What are chunky dad shoes? Chunky dad shoes are exactly what they sound like – the oversized trainers you’d find in your dad’s old school wardrobe. Back in the day you’d casually wear them with tube socks and jeans, but now they’re synonymous with high-end fashion and modern street style. 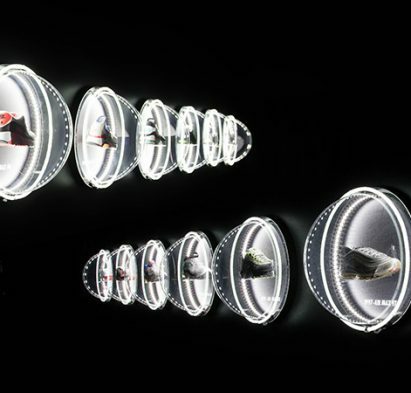 Celebrities have been rocking the trend from award shows to instagram with artists like Chance the Rapper spotted with Yeezy 700s, Jaden Smith wearing Louis Vuitton Archlight sneakers at the Met Gala in 2018. How did they get so popular? 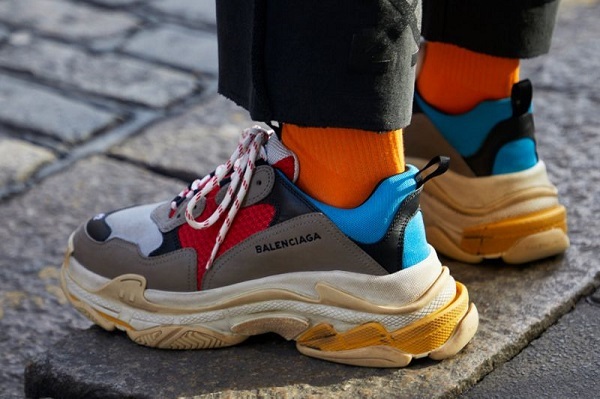 It’s hard to say exactly what rekindled the trend, but when fashion-house brands like Gucci, Louis Vuitton and Balenciaga started releasing enormous chunky trainers, it was only a matter of time that they would become staple pieces. Last August, the Adidas Yeezy Wave Runner 700 dropped, which had a much chunkier “dad” look than most of the streamlined styles that were popular at the time. When Yeezy releases a chunky silhouette, it has sure become a must have. 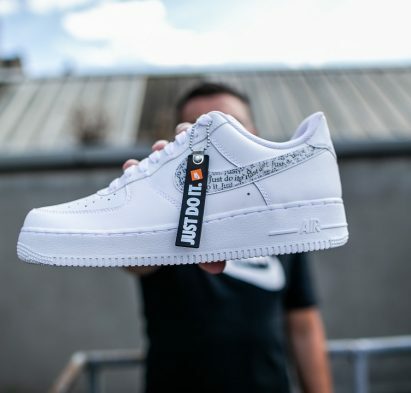 At the same time, Nike celebrated the 35th anniversary of the Air Force 1 by collaborating with the likes of Virgil Abloh. The recent Gigi Hadid x Reebok collection is another collaboration that has shown the popularity of the trend. Street fashion has definitely taken chunky dad shoe silhouette on board. Kylie Jenner is a massive fan of the Falcon, and so are we. These chunky trainers take design cues from archival adidas running shoes. They feature a distinct chunky sole and shiny metallic details for an eye-catching look that’s totally reminiscent of the nineties. 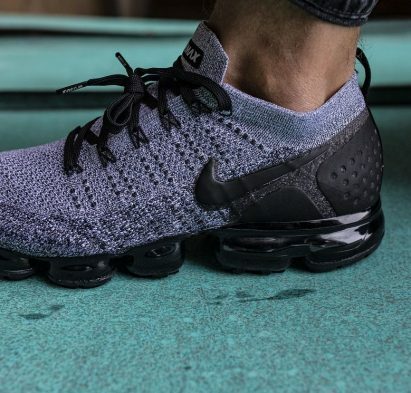 This VaporMax Plus is a much bigger and bolder style than the OG VaporMax or VaporMax Flyknit. 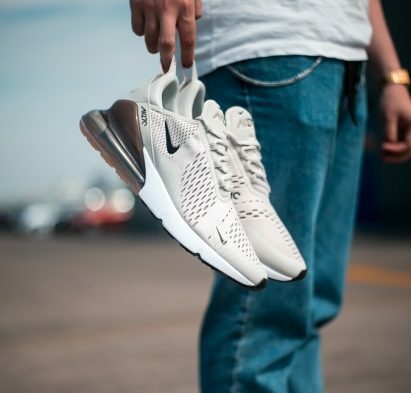 These men’s trainers have a floating cage, full-length Air unit and branded details throughout. 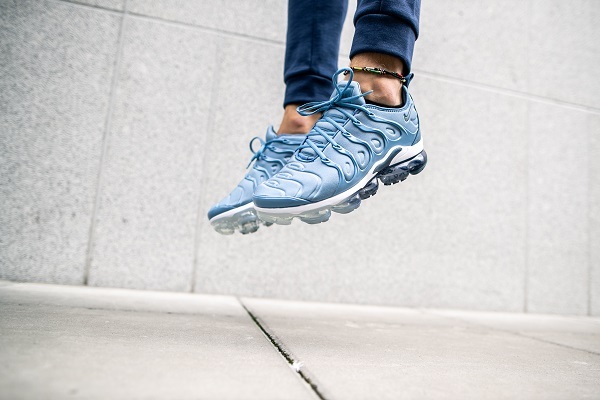 We have everything you need to know about the Vapormax but when Rita Ora has been seen wearing the sleek variation of the ‘chunky trainer’ look, people took notice. Get ready for a major throwback with these bad boys! 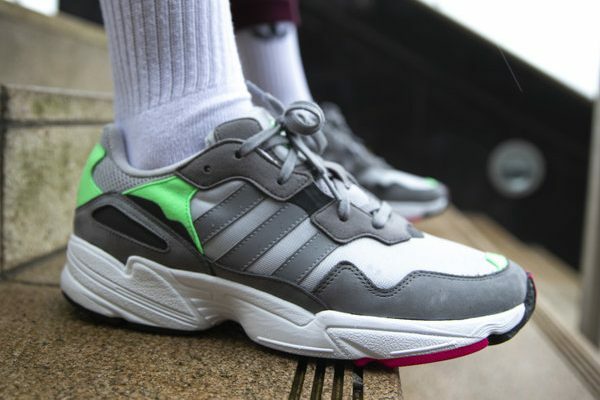 The bold, eccentric styles of the 1990s inspire the adidas Originals Yung-96. These men’s trainers have a wide, chunky design with a layered upper and bulky rubber sole to take your sneaker rotation to new heights. 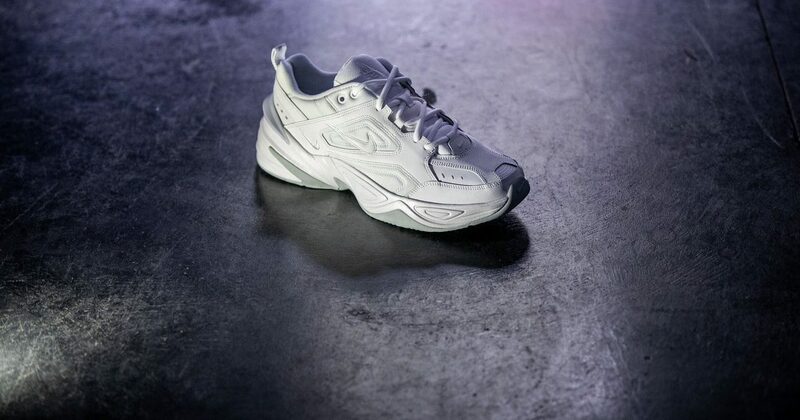 Inspired by the 2002 Nike Air Monarch, the M2K Tekno gives the chunky dad shoe a fresh update. These have a narrower upper than the original, but feature the same thick sole that made the Monarch an icon. Available for men and women, Tekno trainers are one to watch this season. 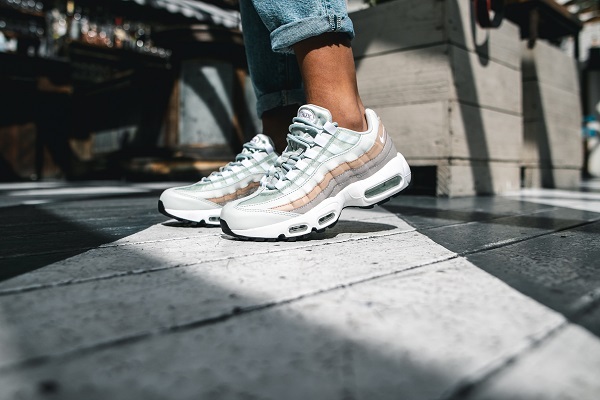 Available in a wide range of retro colours, the Nike Air Max 95 is an essential in your collection. The ripped design on the upper has a futuristic look that surpassed many other sneakers in popularity back when it launched in the 90’s. 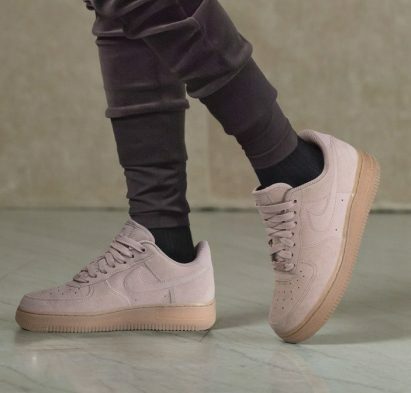 It was a ‘chunky trainer’ before ‘chunky trainers became a street fashion statement.The branding is minimal on this style, which lets the chunky silhouette do the talking. For guys, we think the bolder you wear them the better. Go full-on ’90s with an oversized jacket, distressed denim and a waist bag. Layering with T-Shirts, hoodies and track jackets lets you incorporate a variety of colours and patterns while giving a bulkier look. 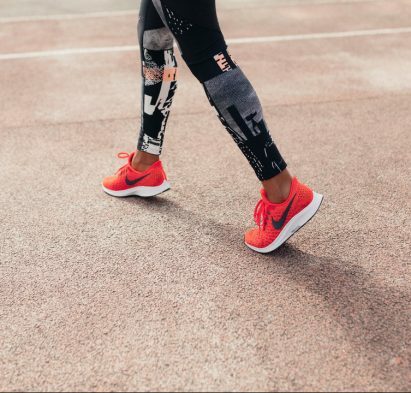 This balances out your outfit and ensures your trainers aren’t the sole focus. Cropped pants are also great for showcasing your trainers, but don’t forget some ribbed socks for that full-on retro look! 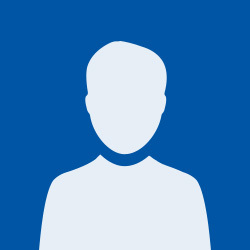 Embrace the silhouette. 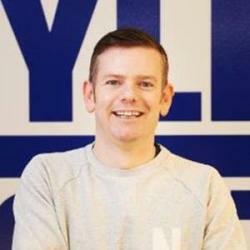 Chunky trainers can look really masculine, but once you know how to style them they’re really not that intimidating! Pair your trainers with a short, feminine dress for a carefree look. 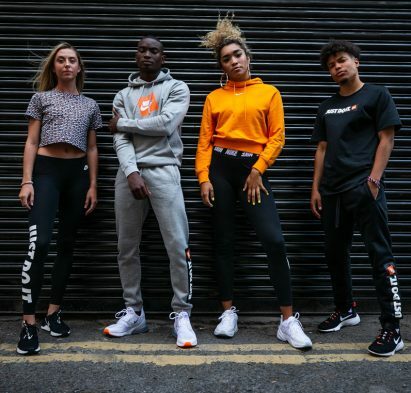 Monochrome outfits look really good with chunky trainers since they creates a sleek, streamlined look where the trainer silhouette can really shine. they pair great with oversized, borrowed-from-the-boys styles like blazers and loose-fitting suit pants for an off-duty look. New styles are dropping all the time so stay up to date on the latest chunky dad shoes at Life Style Sports. While you’re here, check out the history of the Air Force 1, the OG chunky trainer.